Ever thought how is the life of a blind person, their life is full of risk. They can't even walk alone through a busy street or through a park. They shall need some assistance from others. They are also curious about the beauty of the world, they should have will be the excitement to explore the world, and to be aware of what is happening in front of them. Even though they can find their own things without anyone's need. So,How we solve this? Simply, Sight is a pair of smart glasses for the blind. By using Sight, a person can able to know what is going on in front of him. Sight is developed with a raspberry pi 3 and Google android things. Sight does have three main parts, a raspberry pi 3 (powered by android things), camera and a button. When the person press the button on the Sight, The Sight will take a picture and analyze the image using tensor flow and detect what is that picture is about, then using a speaker or headphone, the Sight will voice assist the person about that picture. This is how sight works! How you can make a Sight yourself! Its easy, Just follow the steps below to make one yourself! Here are the components and materials that you needed to do this project. Take your time and collect everything! Go to the android things webpage Here and then click on CONSOLE menu on the top bar of the web page. You should sign in first, Sign in with any of your google account. Click on the CREATE A PRODUCT button. You should get a popup window,! Enter your product name in the product name field. Select Raspberry Pi 3 from the SOM type. Leave the OEM partition size field as default. Give some description about your product in the description field. It will take you to a new page. From the new page, Select the FACTORY IMAGES from the menu bar on the top. Scroll down little bit, and click on the CREATE BUILD CONFIGURATION button. after clicking the button a new Build Configuration List field will visible below the button. just download the build from Build Configuration List. A zip file will start to download, Wait until the download is complete. After download is completed. Unzip the file using 7zip or winrar. Wait until the extraction is complete (probably it should take only 1 to 2 minutes). We are using Etcher (Etcher is an open source project by resin.io). Connect SD card to Computer via a SD card Reader and open Etcher. Select image and select SD Card and hit Flash. Wait for it. After the Flash, unplug the SD Card Reader and insert it into our Raspberry Pi 3. Connect Raspberry Pi 3 to a Ethernet via RJ 45 cable and power it up with 5v adapter. Now here our Local IP is 192.168.0.22. First Download Android studio (Stable) or use Preview version. Note: Stable version can be also use used for Android things development but preview version comes with a inbuilt Android things Development option. After downloading, install and open Android Studio. Open an existing project (SIGHT) by clicking Open an existing Android Studio Project. Click OK to Open the Project. But we need a connection between the Android Things device (Raspberry Pi) with our Android Studio for Upload and Debug our programs. We have the ADB tool (Android Debug Bridge). It will act as a bridge between our Android machine (phone/things) and development platform (Android Studio) and help us Upload and Debug our program. So next we need to set ADB in between Raspberry Pi (running on Android) and Android Studio. In Windows, open Android => SDK => Platform-tools. You can see the adb.exe file here, but we can't directly access it. So open a command prompt or PowerShell and get in the folder and just type code on command prompt or PowerShell. We got the RPi IP from the first step. And you'll get a response after the connection is established. Now just upload the program by clicking the green triangular button. You can see the Raspberry Pi on the listed of devices. Just click OK for running our program. Time for wiring up the circuit! Here we are using a button for Triggering the Camera to capture the image. We build our own Pi hat on a pref board, we recommend you to make one yourself. The Fritzing file is attached in the attachment section of this project. Before we mounting everything in an enclosure, just make sure everything is working perfectly. Just turn ON your raspberry Pi3 and wait a 5 second to load everything. Press the button to take a shot using the camera and wait another second. You can hear what is it in that image through your headphone or speaker. If everything perfect, Time for placing them in a secure case to prevent any accidental damage. This is not an important step, If you can make an enclosure in your own style, it will be great and looks to be cool. We build a simple enclosure, to place the circuits is in secure before mounting it into the glass. We got a general purpose plastic enclosure from a nearby local store. Made some cuttings and holes for the ports on the Raspberry Pi. We painted them using some spray paints(black and white paints). We have a Glass that laying around in our lab, Fortunately, it is the best glass that we can find to make this project perfect. After placing everything on the glass, its look cool. We used a power bank, that we got recently from intel to power the raspberry Pi and its circuits. Many visually impaired peoples out there, expecting some kind of thing that can help them to be self-reliable themselves. So, we would like to bring this concept into reality. We designed a couple of concept design in a 3D modeling CAD tool. A headphone is not comfortable to wear all time and its look weird. So, we are researching on a better and minimalist solution. We finally concluded on Bone conductive speakers. Bone conductive speakers will also help those who cant hear. The camera that we used in this prototype is not suitable for manufacturing a product. Also, it has some limitations like we cant use them in nights or in dark places. So we are upgrading them into IR camera comes with a better resolution. A normal Glass is not comfortable much when it comes with the weight of the hardware. So we are rapidly designing and researching most comfortable glass for Sight. We are also developing and optimizing the source code of sight to handle the capabilities sensing of Sight. Also better performance in minimum requirements. Sight is a wearable device. So we are concern about the battery backup of Sight. We are going to develop an optimized power distribution board. 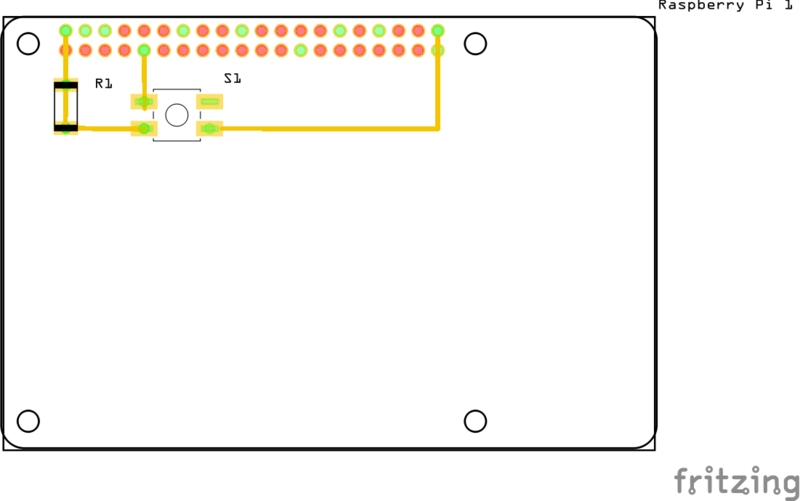 This is the PCB layout of the custom-made Raspberry pi hat. 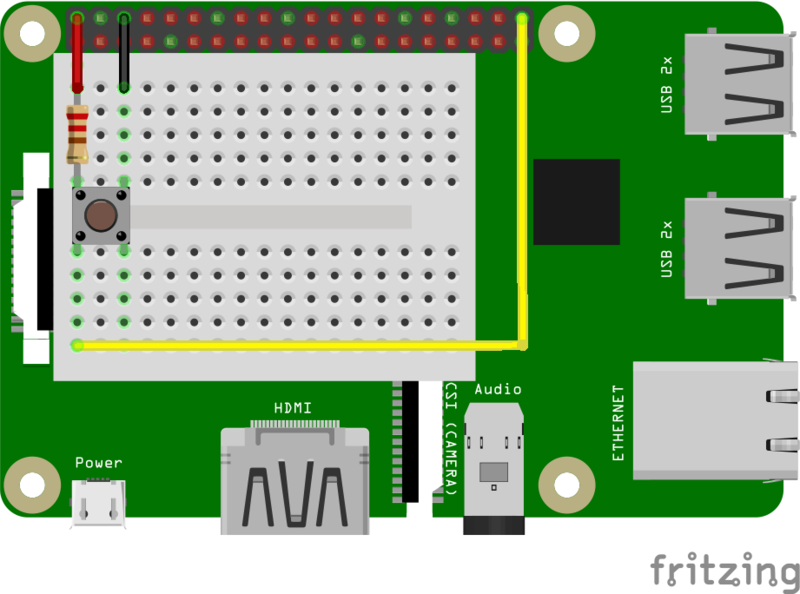 Circuit schematics of the Raspberry Pi hat. Fritzing project file of the Raspberry Pi hat design. This is the android studio project file that we used in this project.